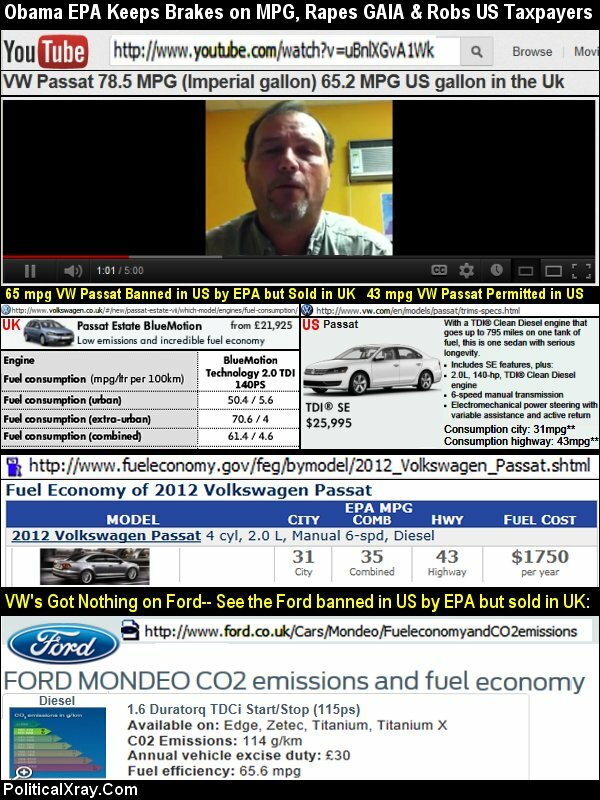 WEBCommentary(tm) - Roman Empire EPA Inspired Obama EPA Ban on Highest-MPG Fords, VW Passats and others. 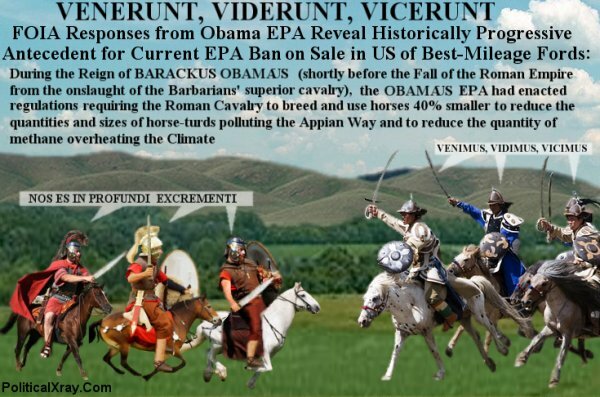 Roman Empire EPA Inspired Obama EPA Ban on Highest-MPG Fords, VW Passats and others. Ivy League Historians and Hystorians had long believed they had correctly deduced the cause of the Fall of the Roman Empire, but recent evidence may shake the foundation of those theories. Many scholars have long believed it was lead poisoning from drinking water transported in aquaducts lined with lead that really led to the fall of the Roman Empire, but given the fact that they had been drinking leaded water for many generations, there is reason to believe there was a more direct cause, evidence of which has only recently been uncovered. FOIA Responses from the Obama EPA reveal the historically progressive antecedent for the current EPA banning highest-mileage Fords (sold in UK) from sale in US and for similar bans on the highest-mileage VW Passats and other vehicles. During the Reign of BARACKUS OBAMAUS (shortly before the Fall of the Roman Empire from the onslaught of the Barbarians' superior cavalry), the OBAMAUS EPA had enacted regulations requiring the Roman Cavalry to breed and use horses 40% smaller to reduce the quantities nd sizes of horse-turds polluting the Appian Way and to reduce the quantity of methane overheating the Climate. As the Barbarians conquered Rome with their superior cavalry, they said, "Venimus, vidimus, vicimus," and the rest of the world said, "Venerunt, Viderunt, Vicerunt" Unless the Tea Party were to be able (after the November 2012 election) to say, "Venimus, vidimus, vicimus," then we'll all have to say, "Nos es in profundus extrementum." 65 miles per gallon Ford Banned in US by EPA but sold in Britain. 65 mpg VW Passat Banned in US by EPA but Sold in UK. 43 mpg VW Passat Permitted in US.